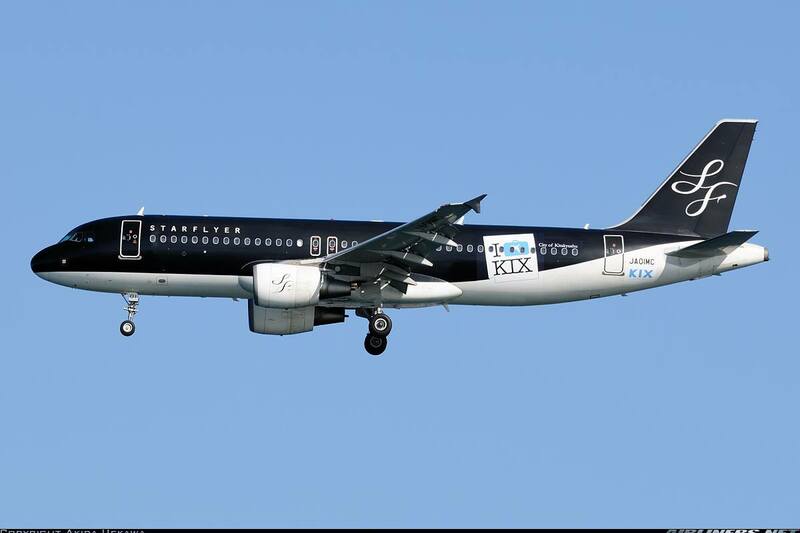 I didn't know about this airline until I did some searching on flights from KIX to either NRT or HND. When I came about with this airline, I did some research on it and I knew at once I had to fly on it even though it was operating a common type, the Airbus A320. I received some feedback from my aviation buddies that this airline is actually a premium airline and when I saw the ticket, the price was at S$120 one way and immediately I did the booking after selecting the date. Unfortunately, I could not get the window seat and had to settle for the aisle seat. Unfortunately, the website was in Japanese, I had to use the translator from goggle which only managed to translate half of the page. Took me quite a while for me to get my booking done! Later on, I decided to stay one night in Seoul (3rd Sept), meaning that I had to change this flight to a later timing at 1730. (Original timing was 1100 departure on the 4th Sept) so that I could change my Peach flight (Original flight was 3rd Sept 2200 hours) to the 4th Sept, 1000 hr flight. That meant that I would only spent a few hours at Osaka Airport instead of a day over there. Unfortunately, I couldn't figure out how to change the ticket as it was in Japanese! So I had no choice but to cancel my original ticket and book a new one. I had to pay a penalty of S$70 and add on another S$100 for the ticket including the changes. It took me quite a while to settle this in Helsinki, glad to have it settled before my Finnair's flight to Seoul. Anyway, once that was done. I enjoyed the next couple of days meeting up with great people. My ride to HND: JA01MC, the first A320 in the airline's fleet. Crappy weather at Osaka Airport caused lots of flights to be cancelled including the previous Starflyer flight to HND. This meant that passengers from the previous flights were transferred to mine which meant that it was a full flight. As a result, I wasn't able to get a window seat and had to settle for an aisle seat instead. On the bright side, it would be easier for me to take cabin shots that was the only thing I could think of to console myself. I am a big fan of this livery. Very classy looking livery, don't you agree? 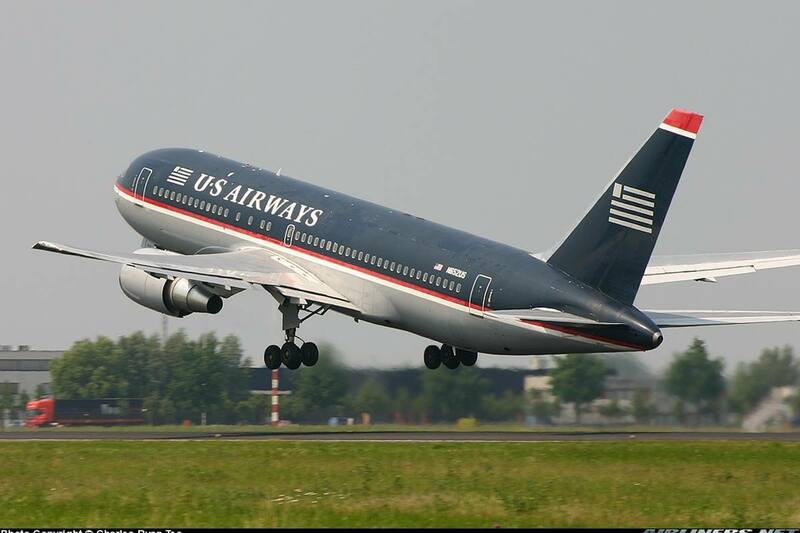 Somehow this livery reminds me of the old U.S Airways livery. After the turbulent flight with Peach Aviation, I felt unwell for a while. Going through immigration was a bit of a nightmare for me as the custom officer stopped me to search my luggage and myself thoroughly before letting me go. They were friendly and were apologetic about it. I asked them why, they told me there was a recent case of a Singaporean getting involved in some incident. This, I didn't probe further. They asked me the routine security questions and after that was over, I was allowed to go. This "ordeal" took about 15 minutes. No harm done since my Starflyer flight was about 4 hours more to go. I decided to grab some food, sushi and it made me feel much better after that. Before I departed 'Peach' Terminal aka Terminal 2, I took some photos of the interior. Here are the photos! The Peach staff were around to assist the passengers and promoting the airline, I think this airline has done very well not just in-flight, on ground as well. After the brief walk around the small terminal, I took the free shuttle bus to the terminal 1, where the other airlines were. I was waiting nearby these counters for a while until I realized these counters were newly set-up and wasn't ready for operation. I only realised when I was walking pass one of the ANA counters with this airline's and my flight number display on a signboard. An event is going on, had no idea what was it. This was where I checked in later. I still had plenty of time left to walk around at the departure area later. The check-in counter crew were once again excellent! They were polite to me and spoke very good English. I got to use the international departure hall a year after this flight. Once I was done with my exploring, it was time to head for the domestic departure. Going through security check this time was a breeze and before I knew it, I was at the air-side. Checking my flight for updates. There is free wifi available at the airport. Once again, checking the screen for update. I was afraid that the flight got diverted to another airport since the weather at that time was pretty bad. Looks empty now but not when it was time for departure, it was very crowded then, about 150 over passengers. However, everyone lined up in orderly manner and the staff had no problems at all, getting all of us on board quickly. I certainly love the way Japanese does its thing, fast and efficient! The minute I stepped on board, I was greeted by 2 of the crew standing near the door, welcoming each and every passengers on board. I was shown to the seat by one of the crew who was extremely helpful, being treated like a King. The cabin ambiance was excellent, the seats itself was much better than I thought! It is fitted with comfortable black leather seats which comes with a basic PTV system (Which doesn't matter at all since it flies only on domestic routes) and a generous legroom space of 34 inch! It felt like flying on a premium economy class on a premium airline. For the price I paid, it was certainly a bargain. Photos taken before my seat mates arrive. Doesn't look like Economy Class, right? This is by far the best A320 cabin, I flew so far. The IFE Screen is touched-screen and its responsive. There is English language which made life easier for foreigners. The crew were excellent! Each and everyone of them paid attention to every passengers on board, ensuring that all of us were comfortable. One of the passengers had difficulty putting his bag into the overhead compartment due to my haversack taking up too much space. This crew came and asked me whether the haversack was mine (In Japanese). Even though I couldn't understand what she was saying, I knew exactly what was happening and I went to adjust my stuff and the other passenger managed to place his stuff in it. Both of them thanked me profusely. Love the Japanese culture! You don't get this elsewhere, honestly speaking. The downside about this flight was the late arrival of the aircraft which meant that the plane departed later and arrived at Hanada Airport later than the schedule time. All the announcements were made in Japanese and I presumed the crew had apologized to us for the late departure due to the bad weather. None of the passengers were too concerned about it anyway. Anyway, boarding was fast and the gates were closed. The safety video was played and there was English substitute on it. I wished I could record the safety video, it was very well-done. The video showed a group of ninjas demonstrating how passengers should react when there is an emergency and also the standard knowledge. Once the aircraft reached the runway, the crew were told to seat and we were on our way. I was expected some strong bumps along the way and for the first half an hour or so, the plane had some bumps but nothing as bad as my Peach's flight. The crew were made to seat until half an hour later when the air was smoother. Since the flight was only an hour and 15 minutes, we were served only a drink. A choice of tea, coffee, soft drinks or juice. I picked the Apple Juice and had it down my throat not long after. I was enjoying every moment of the flight, exploring as much as stuff as I could. My seat mate sitting on the window seat was busy snapping photos and that reminded me of myself flying. How I wish I could exchanged seat with her. Anyway, I went to the toilet to do my usual photography stuff before settling down for the rest of the flight, looking at the map on the PTV. It wasn't accurate for most part of it! The rest of the flight was routine and we landed nicely at Haneda Airport, the weather in Tokyo was slightly better than in Osaka and we parked at the remote parking lot. The airport bus then ferried us to the terminal and soon I made my way to the hotel. 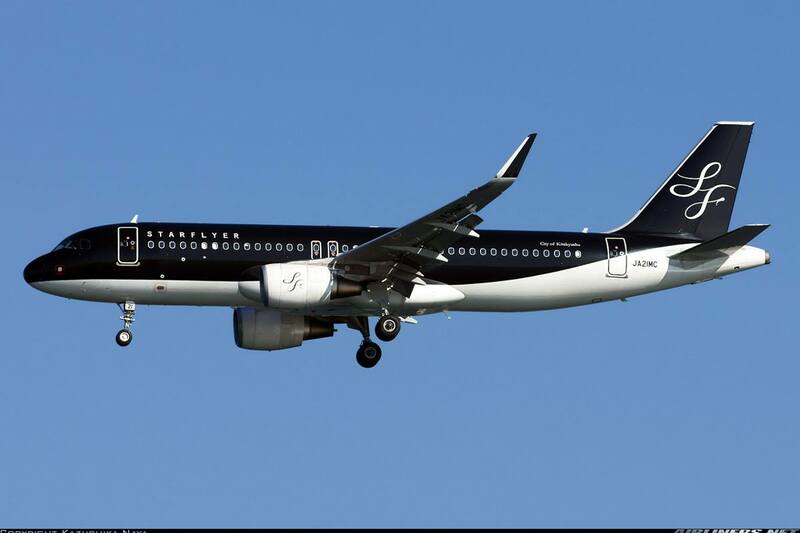 I have been impressed with the Japanese's service so far both at Osaka Airport, Peach Aviation and Starflyer. If you ask me to compare which in-flight service was better, I would say the Starflyer is the winner! The staff was very attentive and they treated you very well on board. I won't hesitate to fly with this airline again, period! I highly recommend this airline to everyone! Not for the aircraft type, but the true Japanese service and in-flight product. The airline is not well-known to foreigners but more to the locals especially to frequent travelers. I would have to give this airline 2 thumbs up for what the airline has offered. I had no idea about this airline until I did some search on the domestic flights and I knew that I had to give this airline a try and I had no regrets about it. However if ANA 747D (Boeing 747-400 Domestic only found in Japan) was doing on this route, I would probably had gone for that. I had a great flight experience with this airline, probably the best in-flight service I had so far for this year at least. I hope you enjoyed reading this trip report. 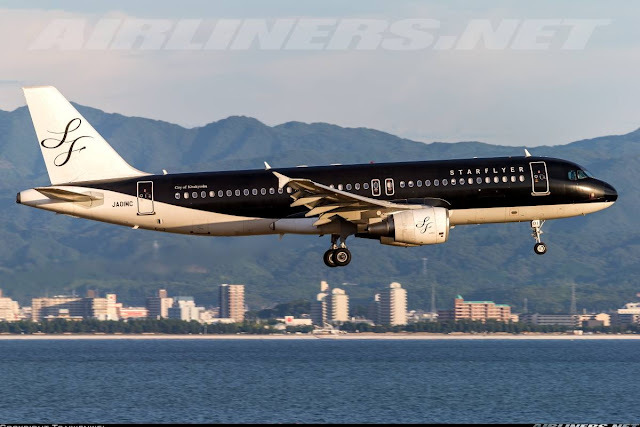 Hello, I'm very happy to read your adventure in starflyer, and I'm preparing to fly this airline, but I come across some problem in booking tickets in starflyer's website, I found the phone number only allows input Japanese domestic number, but I don't have one, would you tell me how to solve this problem,thank you so much. Hi Andes, what I did is I randomly add in the numbers in Japanese format, they won't bother checking. Thank you for your suggestion, it is very helpful for me. Hi Florian, that's good to know. Thanks for the update and have a great flight! I was wondering what is the check-in baggage allowance for Starflyer? Is it included in the whole $120? I tried to navigate around the booking website but fail to find any information (in the Japanese language website). Trying to score their 7000yen flight deal :), it seemed only available at their own website. Thanks! The airfare includes the check-in baggage and selection of seats. I think it is still 20kg per passenger. Enjoy your flight with them! Hey Charles thank you so much for your review. I am about to fly Starflyer from Fukuoka to Haneda and since I had never heard about them I was a little worried (I am aviophobic, and I have an extremely HARD TIME flying, always concerned about safety even though I have to freuqently fly because of my job). Your review calmed me down a little. Thank you very much and I wish you all the best and all the safety in the world in your travels to come!